Skate America 2017 ИСУ Гран-при "Скейт Америка"
У Адама этапы в Японии и в США. Какая там адская логистика, 7 часов прямой рейс до США и 10 часов в поезде. Хотя на этапе есть шанс на медаль и всего три час джет лэг. Он довольно охотно соревнуется в США кстати, дкмаю учли пожелания, ну и этапы попозже из-за подготовки с 10 июня 2017. Японский этап в день рождения, тоже хорошо! Скейт Америка иже через 7 дней! 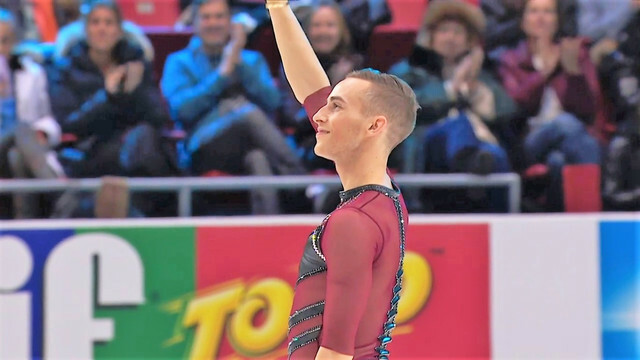 Adam Rippon reeled off a few clean quad lutzes in practice on Thursday, and then followed up with a few zingers in the mixed zone. 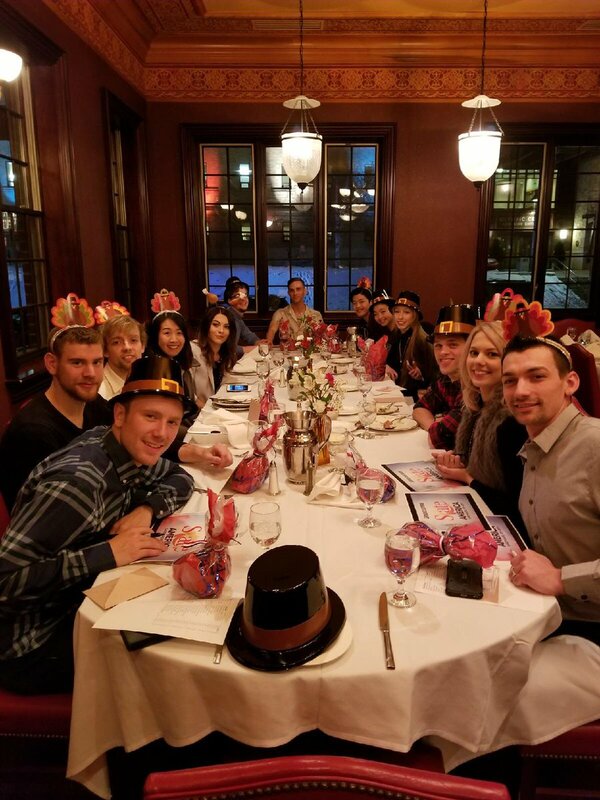 The skater, who turned 28 earlier this month, has never received full value for a quad lutz in competition and would dearly love to land a great one at Skate America. "I feel like many years ago I was setting a trend (trying quad lutz), and I was like, 'Oh, no one will do this,'" Rippon said. "Now I go to competition and everybody and their mother and their child can do a quad lutz, and I'm over here eight years later busting my chops." Regardless, the skater is off to a fine start this season with a bronze medal at the Finlandia Trophy followed by a silver medal at the NHK Trophy earlier this month. Since then, he's focused on polishing the details in his programs: a short to a medley including a remix of Danish soul singer Ida Corr's "Let Me Think About it" and free to "Arrival of the Birds" and Coldplay's "O." "I went back and watched my videos and wanted to clean up the little steps I felt were sloppy," Rippon said. "I took feedback from the judges and wanted to make sure the exits of the spins were a little stronger. Keep my stamina up, keep my strength up, continue doing stability work off-ice so my head can be clear going into this event and I can take the training I've been doing and just maintain that." "I feel strong and confident with my skating," he added. "My only goal is to be solid here." While Chen -- Rippon's rink mate in Lakewood, California -- may train up to 30 quads per day, that's not the case for the veteran skater. "Having broken my foot in January, I'm careful how many toe jumps I do with my left foot," Rippon said. "It's forced me to buckle down and work on the technique of the quad lutz. When you go into a training session, you might see Nathan do five quad lutzes, and won't see me do any, but that's what works for me. I got my triples at (age) 17 or 18, and that's how old Nathan is now. As someone my age in my career, I have to play a different game and be smart about it." Any color Skate America medal will qualify Rippon for the Grand Prix Final for the second straight season. A fourth-place finish may do the trick, depending on how high he scores. That's especially important this season, because U.S. Figure Skating is basing its selection of the PyeongChang Olympic team on three criteria: performance at 2017 World Figure Skating Championships, qualification for the 2017-18 Grand Prix Final and placement at the 2018 U.S. Figure Skating Championships. "Over the past four years, I think I have the pedigree to go to the Olympic Games," Rippon said. "I've been to the world championships and (placed) eighth (in 2015), and the next year I was sixth. I won the U.S. title (in 2016). I am one of two U.S. male skaters who qualified for the Grand Prix Final in the last four years. I medaled at my two Grand Prix events last season and my first Grand Prix this year." "I saw the criteria and saw it pertained to nationals and worlds, but the only reason I wasn't at nationals was I broke my foot," he added. "I'm here to show I'm stronger, I'm wiser, I'm thinner and I'm ready." Пресса ИСУ после короткой программы.